Some applications not available on some items; minimums vary; please inquire. Make a bold impact with a photo or four-color process artwork. 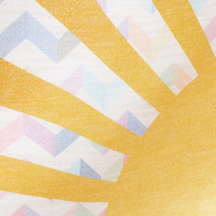 Our methods use fine halftones and an expanded color range to capture the sharpness of the design. True vintage look, twill and felt fabrics available, pre-cut letters and designs available or create your own, the best choice for large size decoration. 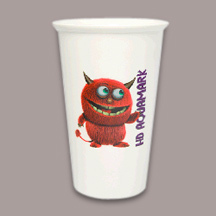 Similar to traditional transfer printing, Aqua Mark has been developed exclusively for use on drinkware. Ink is applied to a sheet of transfer paper instead of directly onto the material. The transfer is then applied directly onto the product. This method allows for spot colour separations (PMS colour match). A clear overlay is always required. A white underlay may be required on dark product colours or glass. Production time for full order is 7-10 business days. 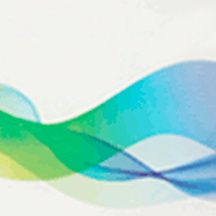 Available in single- or multi-color, color imprint is a cost-effective way to display a logo. The process of debossing is offered on most of our leather, koskin, textura, EVA, and simulated leather lines only. 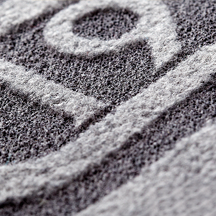 A die is created of your logo and then pressed into the material creating an ‘impression’ of the logo. Debossing provides a subtle, yet higher perceived value on many products. Set up charge is included. Die charge is extra. Set up is also no charge on exact repeat orders assuming previous purchase order or invoice number is provided. Please see product page and click on 'view decorating information' to calculate die charge based on size of logo. 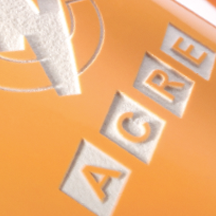 Add dimension and shine to a one-, multi- or four-color logo by placing it under a clear, high-gloss polyurethane dome. Epoxy dome decoration also offers great durability. This ‘cutting edge’ technology is very similar to laser engraving, but instead of a laser aimed at the product, the actual item is etched with a diamond tip. This creates an extremely crisp finish. 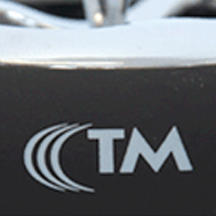 Computerized engraving is used on our pens, aluminum, wine opener levers, and plates. 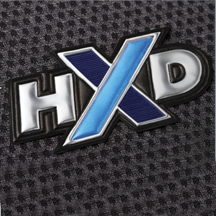 HXD uses a patented manufacturing process to combine the best attributes of two methods: the surface interest and high perceived value of embroidery, and the unlimited colour, incredible detail and location versatility of True EdgeTM Transfer. High resolution detail. Breathable and touchless decoration. Unlimited colour for one set up (no white print available). 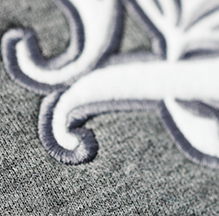 InFusion is not recommended on dark colours, like heather dark charcoal, as the ink infuses into the garment creating a darker imprint of the logo, the fine detail will be difficult to see. Engineered for the inFusion collection and burnout favourites: Holt LS Tee, Sarek SS Tee, Bodie SS Tee, Garner Full Zip Hoody, Howson Knit Hoody, Egmont Jacket (in white only) Northshore Burnout Tee, Ridgemont Burnout Full Zip Hoody and Lakeview Burnout Hoody. Perfect for retail-fashion looks. Decorate in virtually any location. Unique tone on tone look. No puncture of the garment and perfect for technical fabrics. 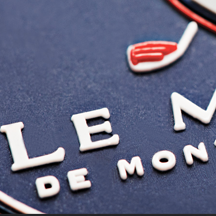 By etching artwork onto a surface, laser brings detailed decoration to virtually any product. 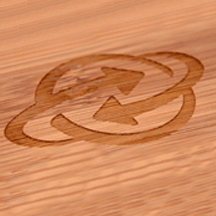 An inexpensive way to achieve a high-end look, laser decoration are eligible for SureShip®. Exclusive to Leed’s, Mixed Media combines two decoration methods to create a high-impact look that uses laser beneath an embroidery, transfer or PhotoGrafixx overlay. 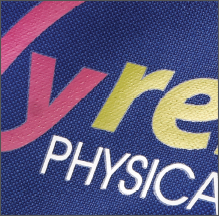 Similar to Perfect Print, a heat transfer allows a full four colour process computer generated logo to be printed onto clear heat transfer material and pressed onto natural coloured cotton. This process allows for a beautiful, detailed logo and is perfect for halftones and gradients. 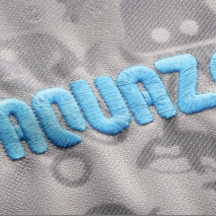 The fabric must always be light coloured to allow for the logo to be seen on the product. Pad Printing is extremely effective on rounded, uneven, or slanted product shapes. It is also perfect for small and intricate logos. A silicone pad is used to transfer the ink onto the product. The pad can hit various levels on a product at one time. 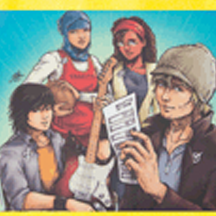 Ink colour availability is restricted due to the limited ability to mix inks utilized in this process. Pad printing is utilized on products such as: plastics, pens, aluminum, tins, rubber, cardboard gift boxes, metal, vinyl, leather and paper pad banners. Choose from rubber, vintage and wovens. 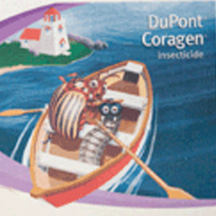 Exceptional reproduction of detailed and complex logos or images. Match virtually any colour. Perfect for small complex decoration. 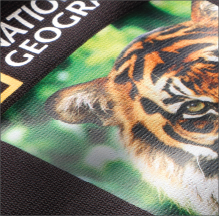 Perfect Print allows a full colour computer generated logo to be printed onto heat transfer material and pressed onto a variety of fabrics. This process is produced at a lower cost than multi colour screen prints and is perfect for halftones and gradients. A full underlay (default underlay is white) must always be present (colour match not guaranteed). The direct screen printing process involves placing the material under a mesh screen. 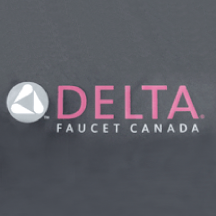 By applying even pressure with a squeegee on the screen, your logo is imprinted onto the material surface. 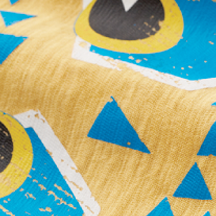 The screen printing process ensures your imprint looks its best on a wide variety of fabrics. This is the most common method of decoration. Photographic quality minimum 300 dpi. 4 colour process - CMYK. Reproduces virtually any colour. 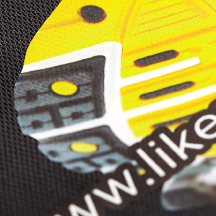 Utmost detail within your logo is captured. Contours required for text. Free standing text. No contours required. 4 colour process or PMS spot colour. Text as small as 8pt type. Distressed Transfers available.